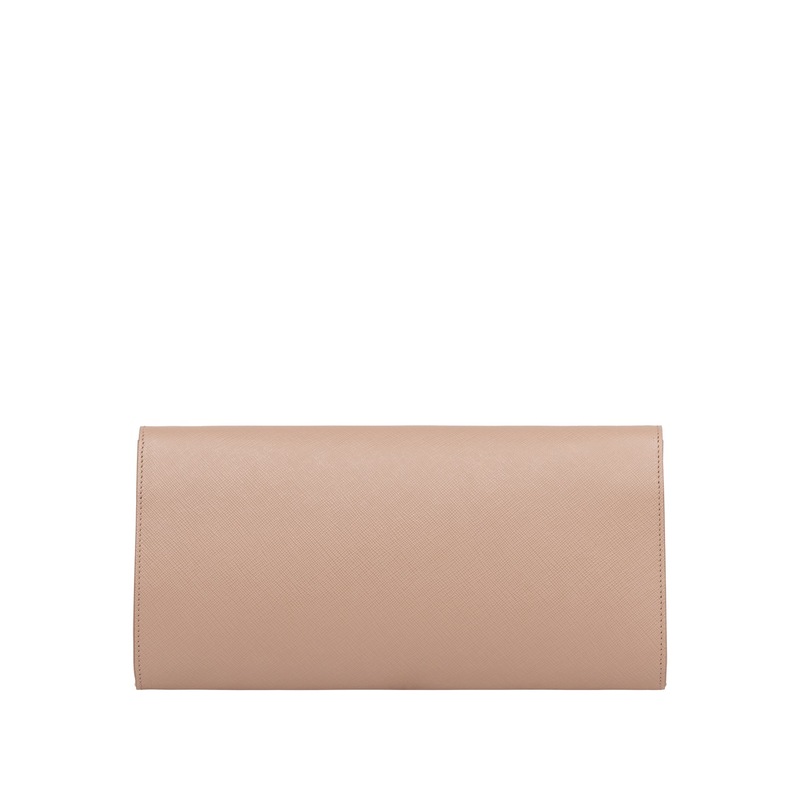 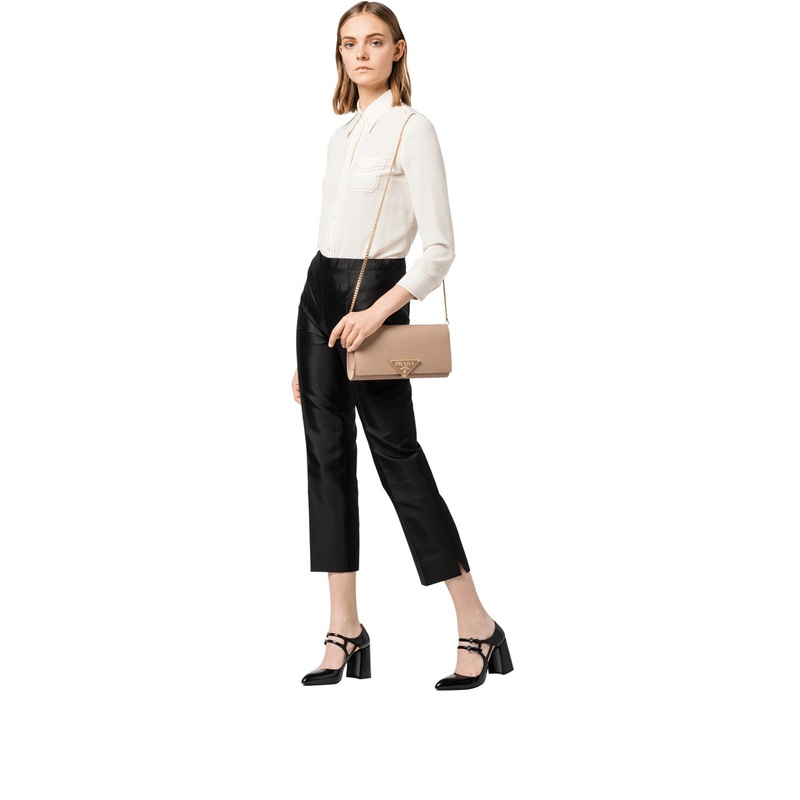 A Saffiano leather clutch with detachable chain shoulder strap. 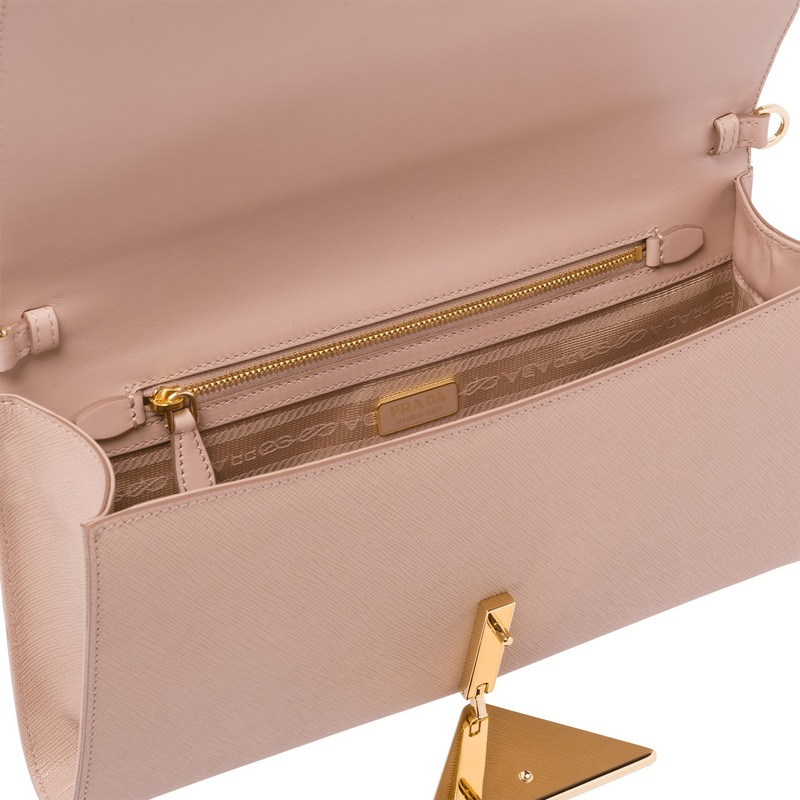 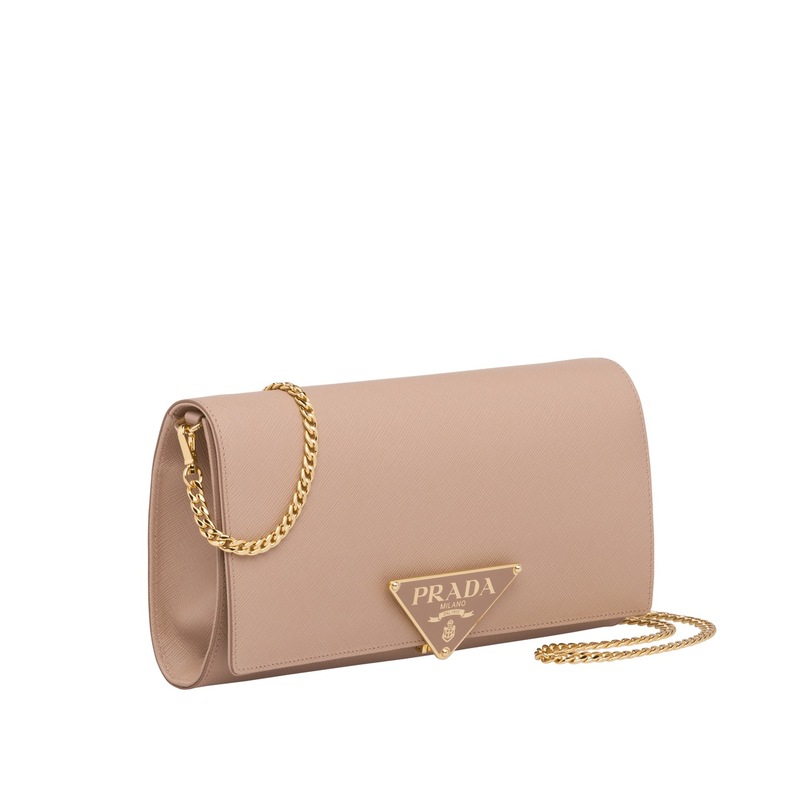 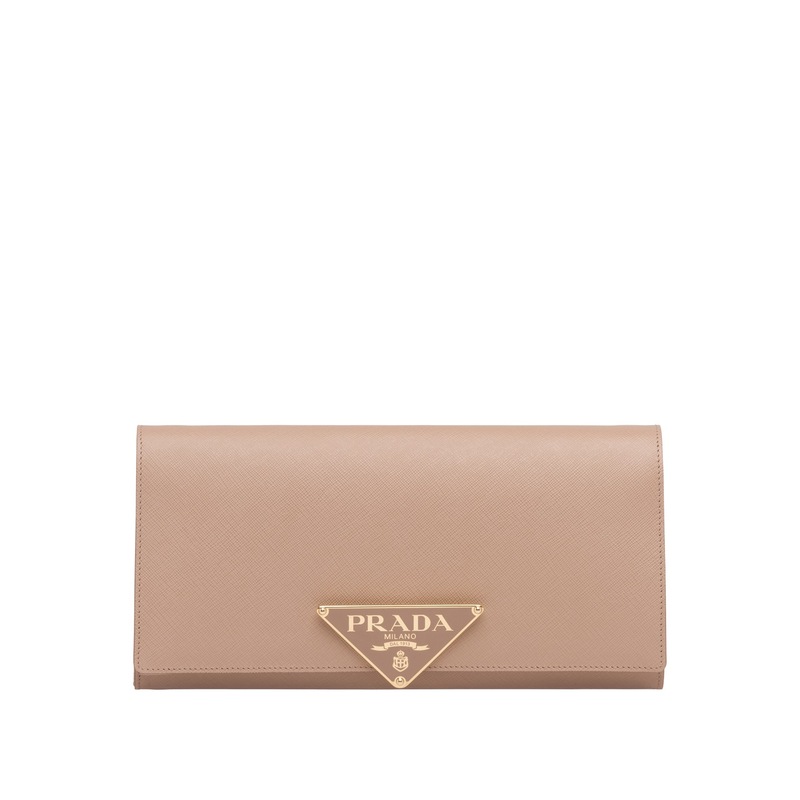 The large triangular Prada logo serves not only as decoration, but also as a snap-lock closure. 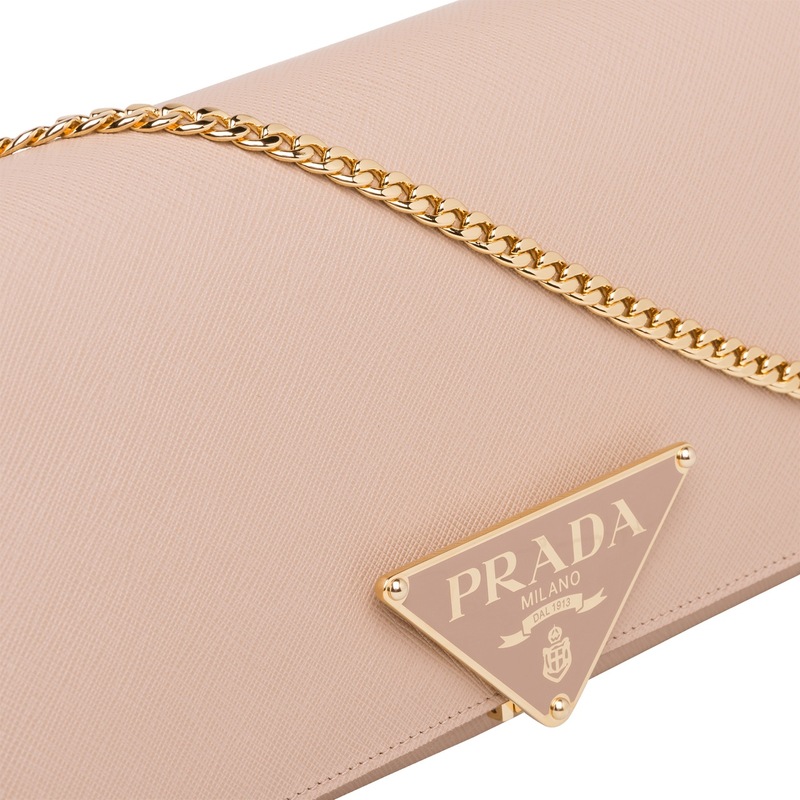 The inside pocket is accented with logo lining.